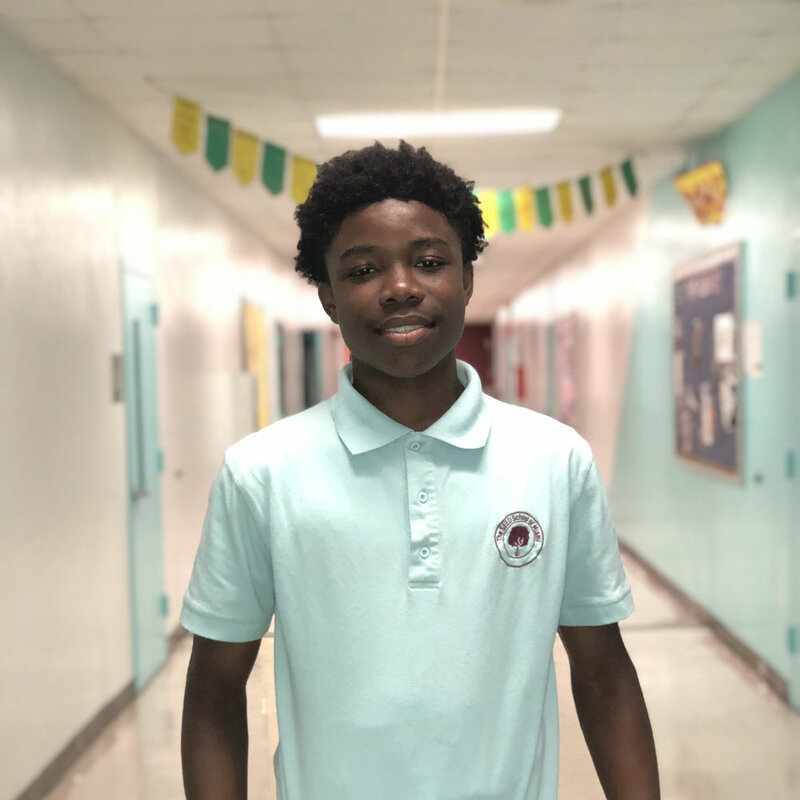 Although still in middle school, Jermaine Murchison (SEED Miami ’23) is already focused on charting his path to a college degree. An eighth grader at SEED Miami, Jermaine is an honor roll student who sets a stellar example for his peers. As a member of the Student Ambassador program, Jermaine gives tours to prospective SEED students and donors. He is also a member of the Bulldog flag football team, where he plays safety, corner, and wide receiver. “I’ve had the pleasure of serving as Jermaine’s student life counselor for three years. During this time, Jermaine has truly become a leader. Whether it’s in the classroom or on the football field, Jermaine has faced every challenge with tenacity and courage,” shared Kem Chatfield, a student life counselor at SEED Miami. Jermaine is committed to taking advantage of every opportunity he is offered. As a sixth-grade scholar, he boarded a plane for the first time to travel to Buffalo Cove Outdoor Education Center in Deep Gap, North Carolina. Founded in 2003, Buffalo Cove encourages visitors to find harmony and empowerment through self-understanding, self-confidence, friends, and fun. Jermaine had the chance to explore nature, learn new skills, and connect with other Buffalo Cove campers. “When our admissions director, Mr. Lewis, visited my home when I was in the fifth grade, I knew SEED was the school for me. I was most excited to live in the dorm, because it was something new, but traveling to Buffalo Cove gave me the opportunity to really get out of my comfort zone and try new things,” said Jermaine. Jermaine is excited to begin high school and work with an advisor from SEED’s College Transition & Success program. He hopes to find a college or university that is the right fit for him. Currently, he has his sights set on earning a degree from the United States Military Academy at West Point. We’re proud of Jermaine’s progress and excited to see where his educational journey takes him!